As the leader of the Australian Government, the Prime Minister of Australia is also the leader of the country. 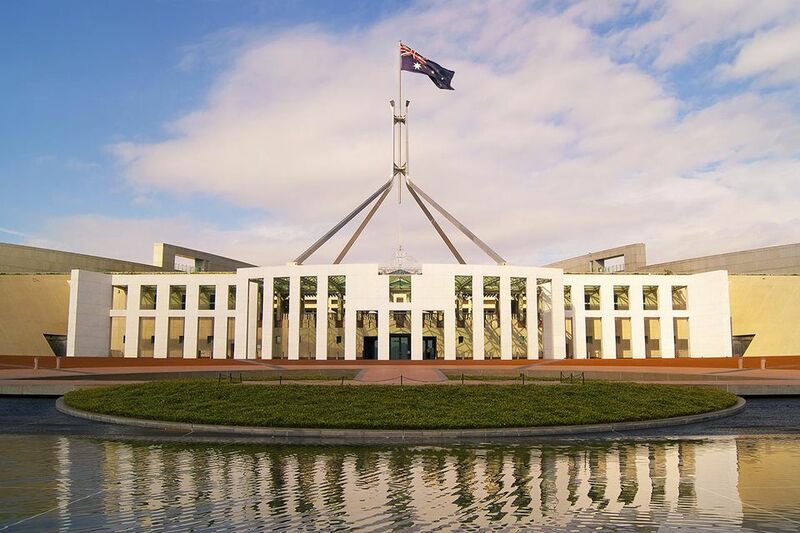 The most powerful member of the Australian parliament, the Prime Minister (or PM) has responsibilities that are vital to keeping the government running smoothly and legislation moving forward. The Australian Prime Minister's duties are typical of a head of state. They include giving advice to and conferring with the Governor-General, who is appointed by the Queen. The PM and the Governor-General may discuss matters regarding constitutional matters and other prominent issues such as appointing heads of government departments and ambassadors. The PM represents Australia overseas, chairs meetings of policy with members of Parliament, elects government members to minister positions, calls federal elections and acts as the chief government spokesperson. The role of Prime Minister is crucial to the Australian political climate, and he or she sets the agenda for the government. Like any other parliamentary system, there's no fixed term for the PM in Australia; he or she serves as long as their political party retains a majority. But it's not entirely identical to the UK parliamentary government. Like other parliamentary systems, in Australia, the PM is not elected directly by the country's voters. Rather, the Prime Minister is decided by a vote cast by the members of the government. A political party or coalition of political parties must win a majority of 150 seats within the Federal House of Representatives of the Australian Parliament, which is effectively known as the Lower House. In order to make up the House of Representatives, members of the Federal Government (which includes the House of Representatives and the Senate), State Government, Territory, and Local Governments are elected by voters. Once a political party has won the government, it chooses an internal member to become the Australian Prime Minister. This is traditionally the Leader of the party. It's worth noting that Australia's PM is not a role specifically mentioned in its Constitution, but is part of the country's political tradition and convention. But like other parliamentary governments, the prime minister is the most powerful elected official in Australia. There is no fixed term limit in the Australian political landscape. As long as the Prime Minister holds their position as a member of parliament and maintains the support of the government, they have the ability to stay in the role for many years. Any serving Australian Prime Minister is open to having their position challenged by members of their party or coalition of parties, and being removed from office via a "no confidence" vote. Despite its variations from the British system of government, Australia's political conventions and practices are heavily based on this centuries-old structure, with some influence from the American presidential system included as well. Parliament House may be where the national laws are made and discussed, but the Prime Minister has two residences in Australia. These are Kirribilli House, in Sydney, and The Lodge, which is located in the Australian capital city of Canberra.